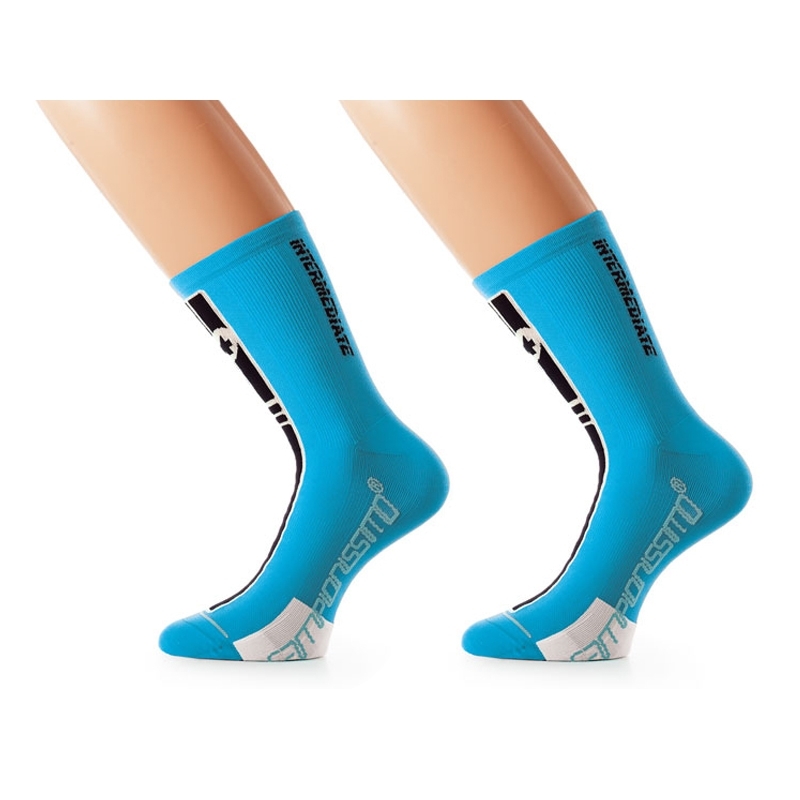 2 Pack Sock Deal: The intermediateSocks belong to the new genre of ASSOS socks, similar to their sister, the duathlonSock. This generation of high performance socks is a completely new concept. 70% PA, 30% EA. Lightweight because of ultrathin fibers. Highly compact thanks to an unparalleled number of stitches per square inch (special new machinery). And a generous portion of strategically inserted elastane fibres provides low compression support while helping blood circulation. The result is a very thin sock, very comfortable, with a snug, ergonomic fit that follows your foot. Basically wrinkle free inside your shoes, intermediateSocks_S7 give a second-skin fit while providing increased durability and a new sensation of well being for your feet! The ideally calibrated blend of different polyamide fibres perform proper moisture management to keep you as dry as possible. Ride it to believe it.